Loch Morlich, Cairngorm National Park. I was honoured to be asked for two of my winter images this year for the Highland Hospice Christmas Card collection. 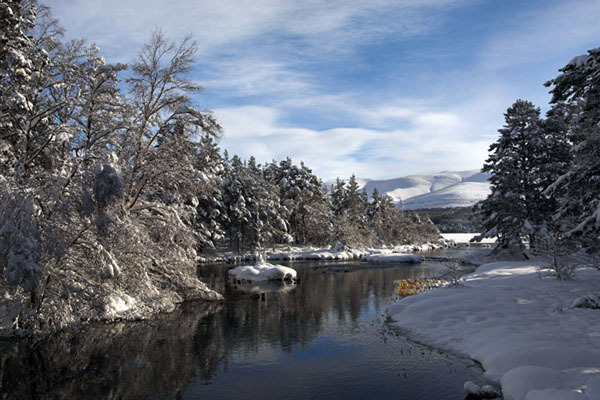 The Hospice chose the images, this one and another winter scene of the Aultguish Inn with Ben Wyvis behind, glistening in white snow. The cards sold out! Great news. It gives me great pleasure to know that through my photographs I am helping a truly wonderful organisation.